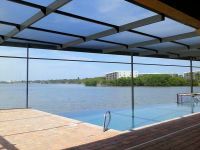 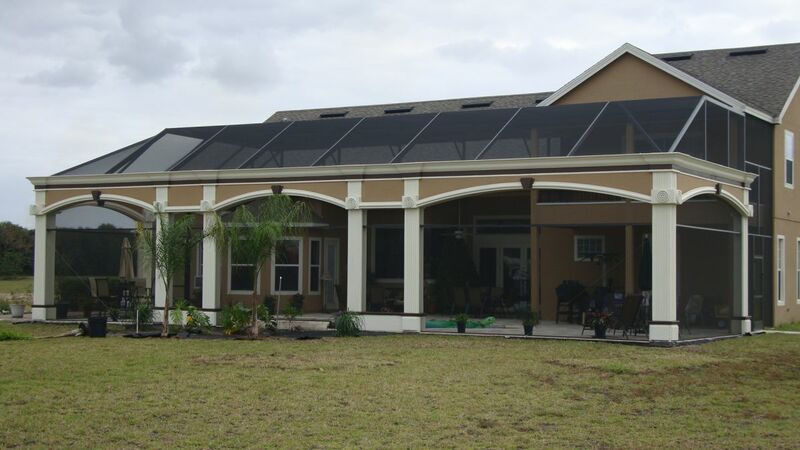 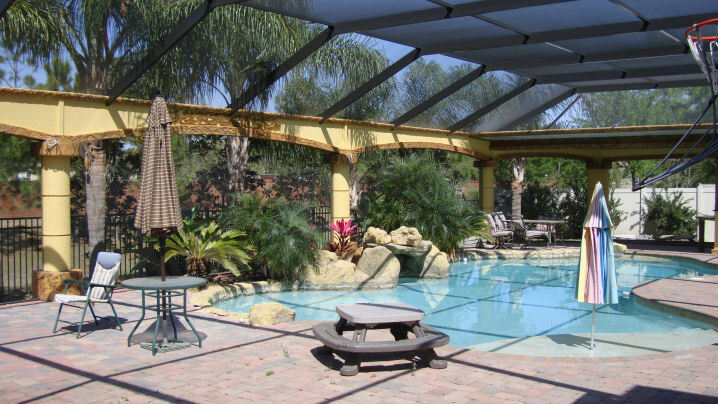 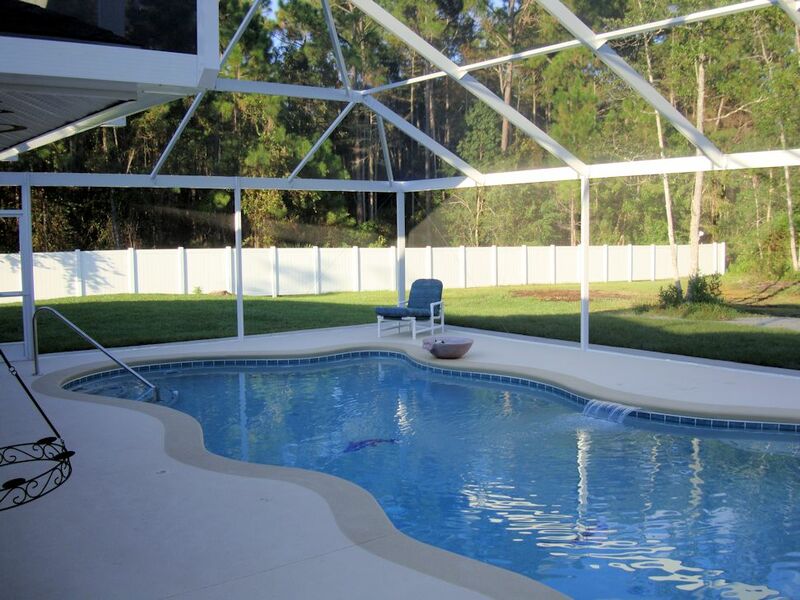 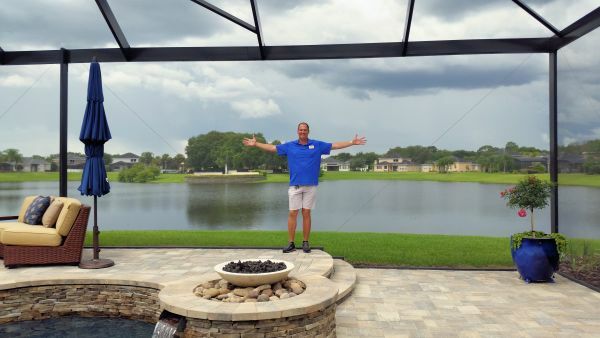 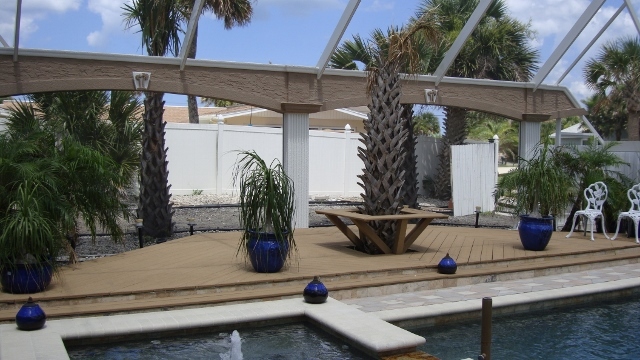 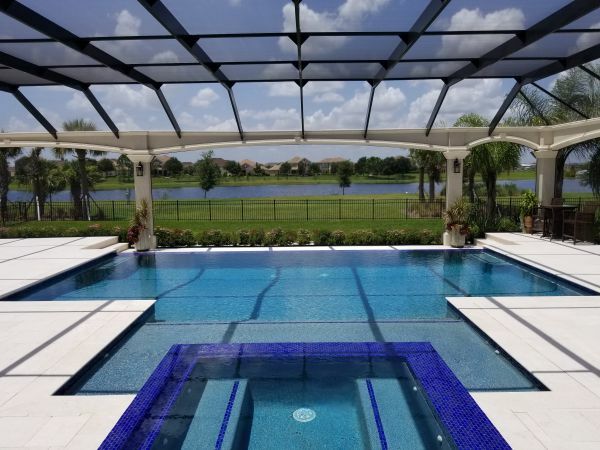 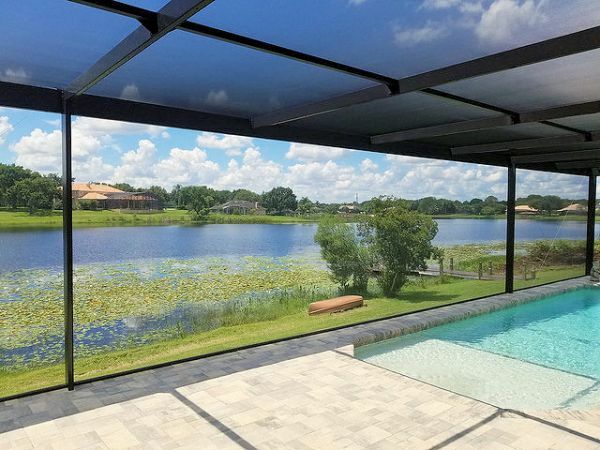 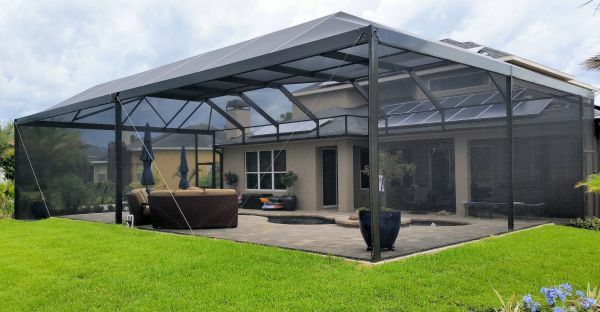 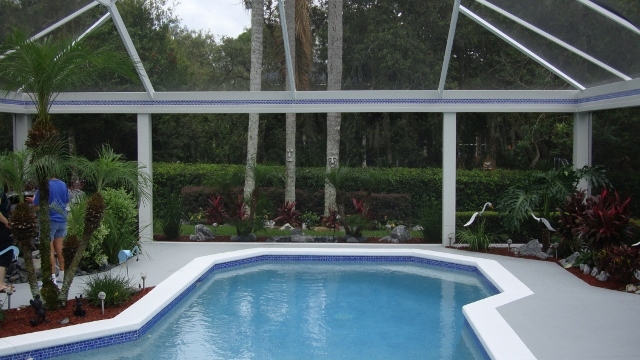 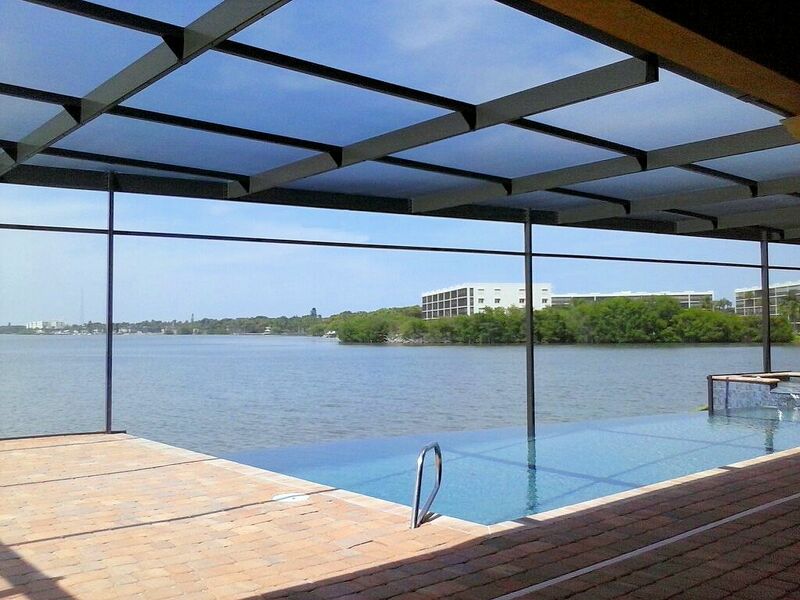 Pool Screen Enclosures Orlando - NO BLOW DOWN WARRANTY - Florida Pool Enclosures and Screenrooms and Hurricane Proof Patio Enclosures with Florida Powerbeam and CAPEA by Summertime Screen. 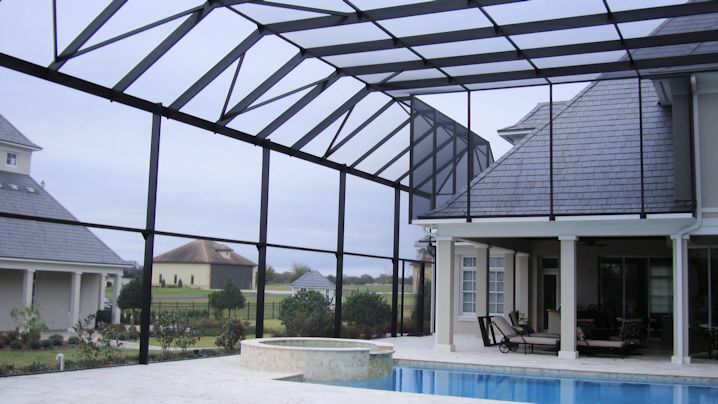 American Aluminum & Window, Inc. and Summertime Screen Enclosures, Inc.
have come together to build beautiful outdoor enclosures for you dreams and needs. 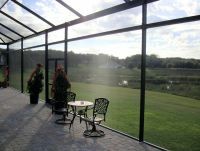 and creates a feeling of openness making your space feel twice as large. 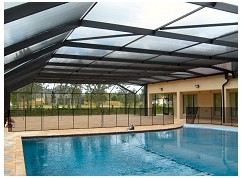 Pool enclosures, screen enclosures, wide panoramic window views. 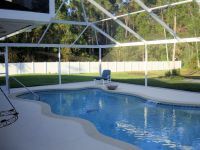 The Look of the Typical Screen Enclosures has changed. 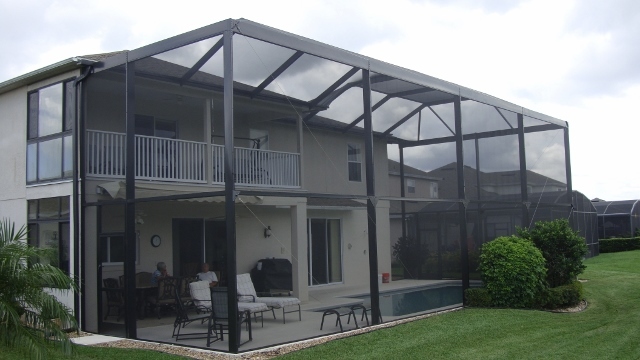 expand your views with our Exclusive Engineering Method Powerbeam. 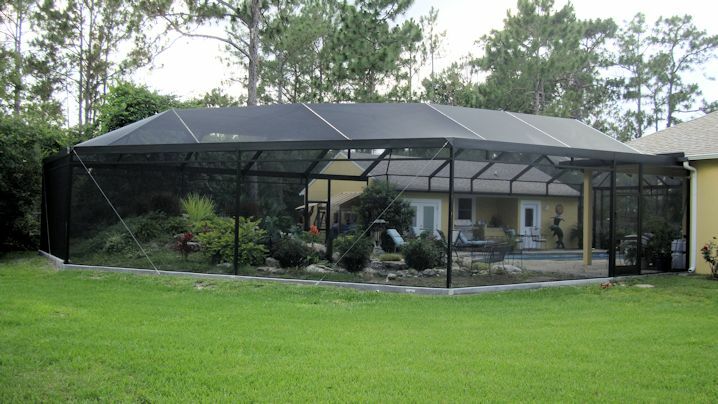 enclosure like you build a house with solid post construction. 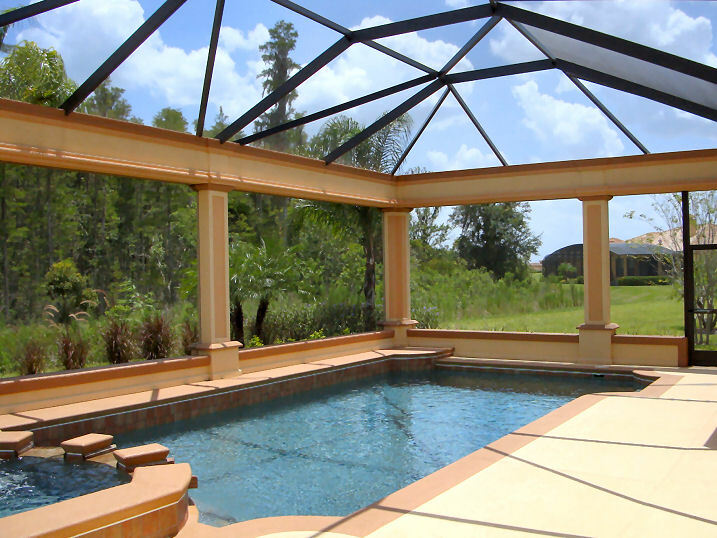 Steel rebar and concrete are filled inside our aluminum frame. 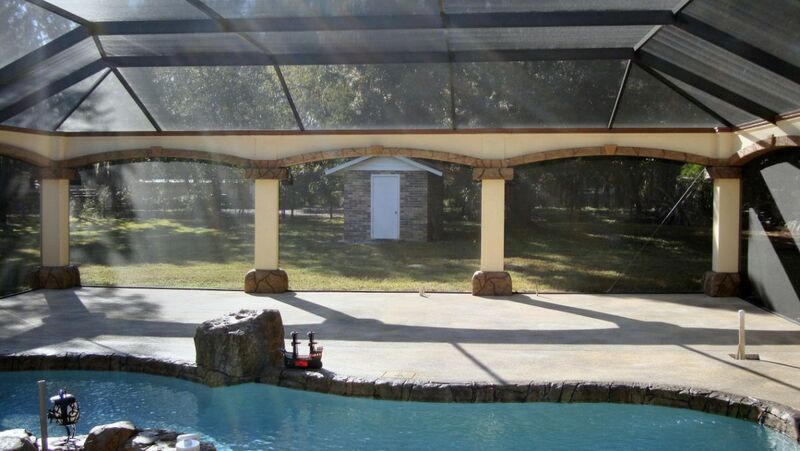 area up to 30 feet Wide and beyond and 12 feet tall. 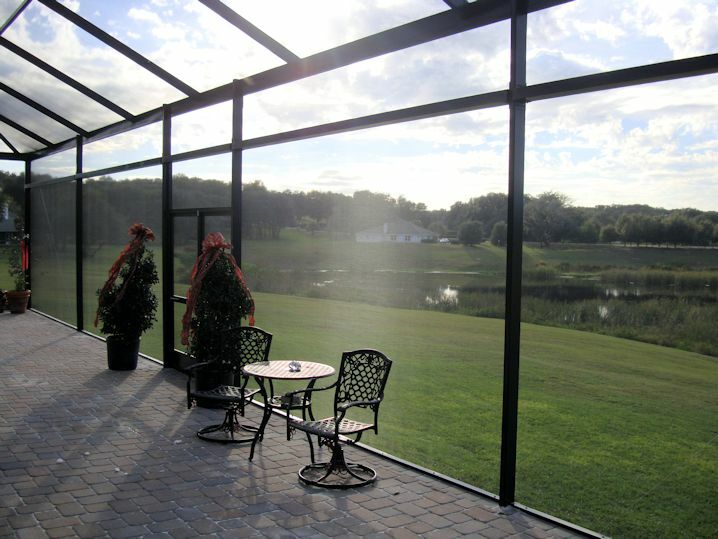 Our customers and friends LOVE the way our screen enclosures look and operate - especially with our patented CAPEA. 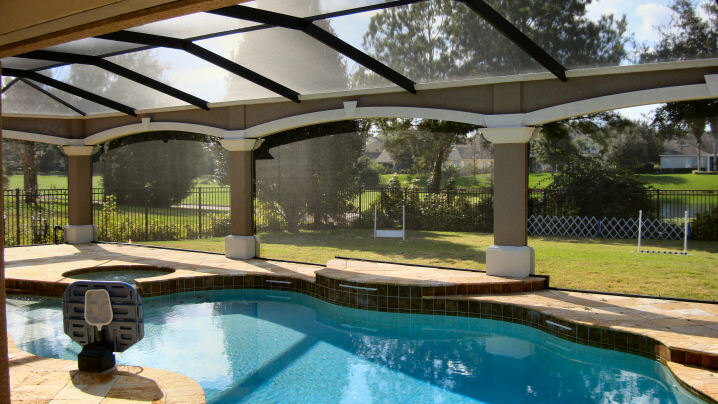 CAPEA means "Classic Architectural Pool Enclosure Accents". 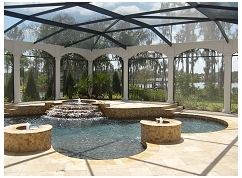 How would you like to create an entertaining environment that matches the beauty and elegance of your home? 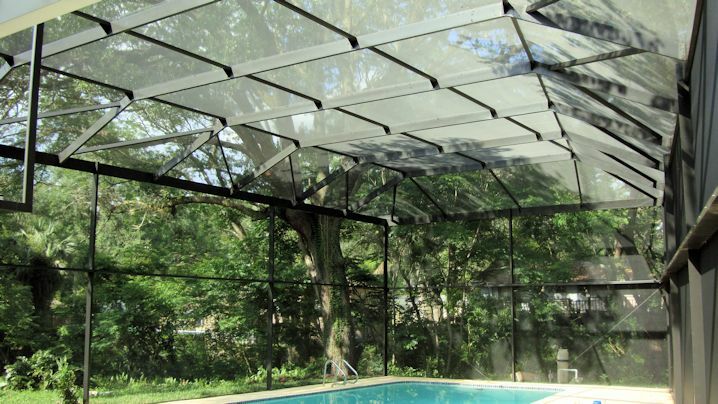 Screen enclosures were designed for keeping out bugs, leaves, and yard debris. 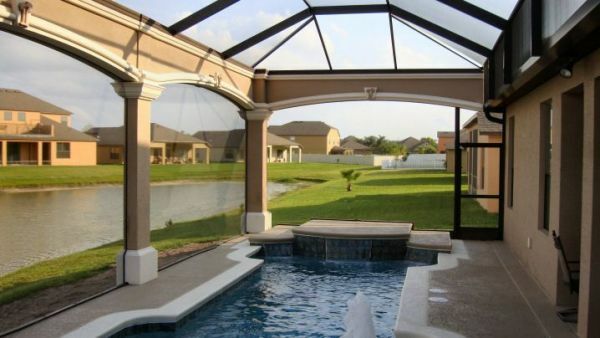 Wouldn’t it be nice to enhance your functional screen enclosure to architecturally match your home or your favorite architecture? 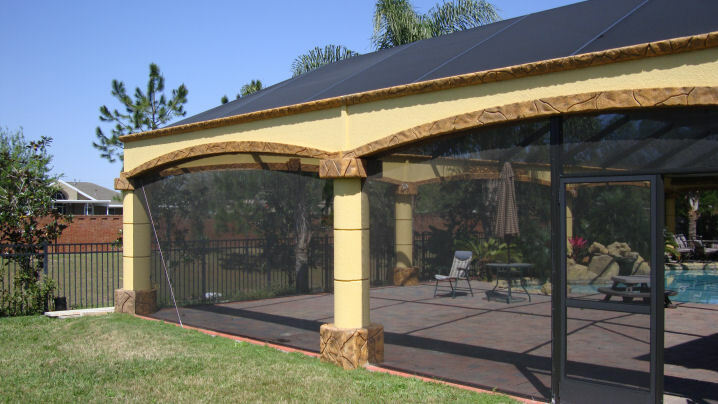 Let us design a CAPEA enclosure for your backyard. 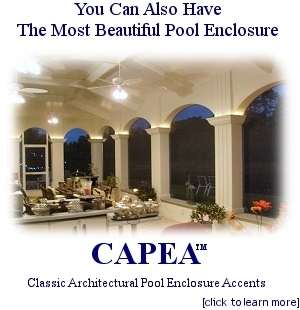 We developed CAPEA. 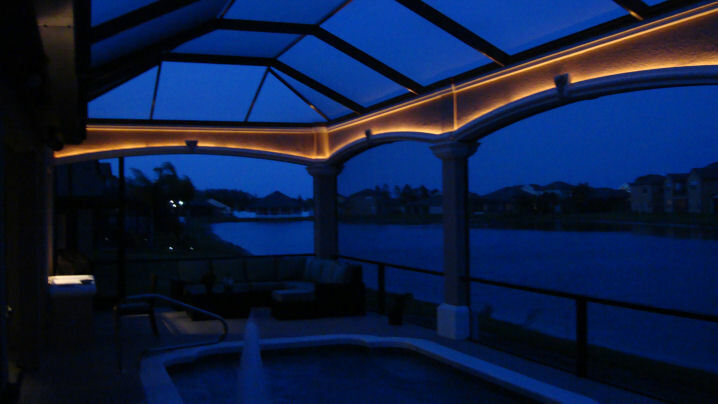 We manufacturer it. 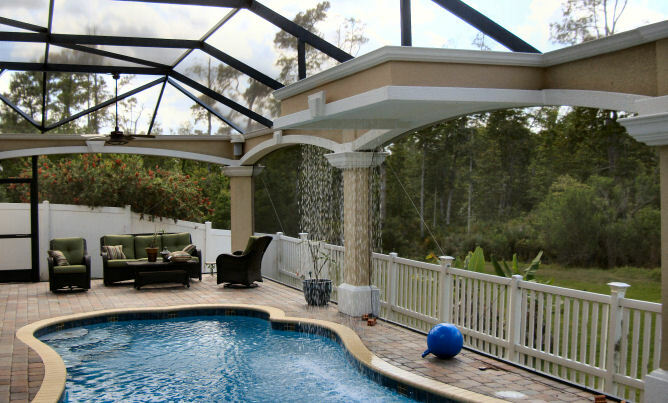 We offer it. 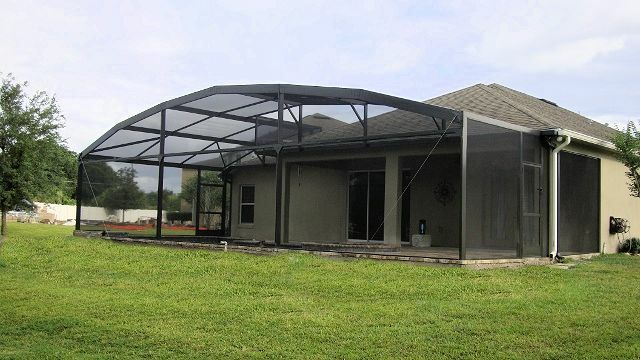 It's affordable. 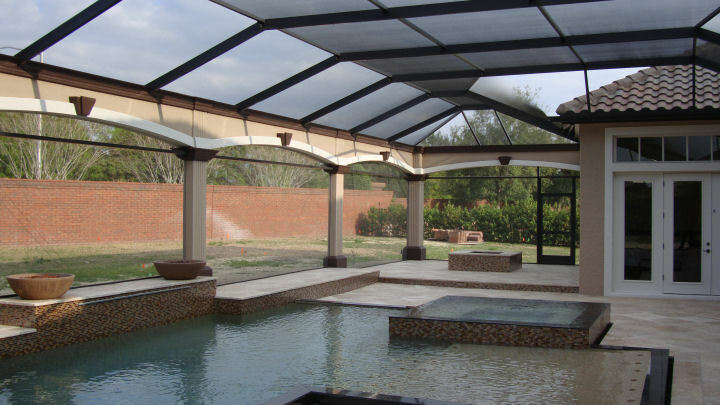 We continuously receive praise from our clients and their friends about how easy we are to work with and how affordable a custom pool enclosure can be. 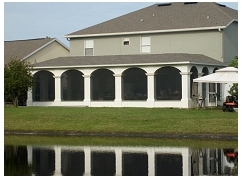 Please visit our testimonials page to read what they have to say. 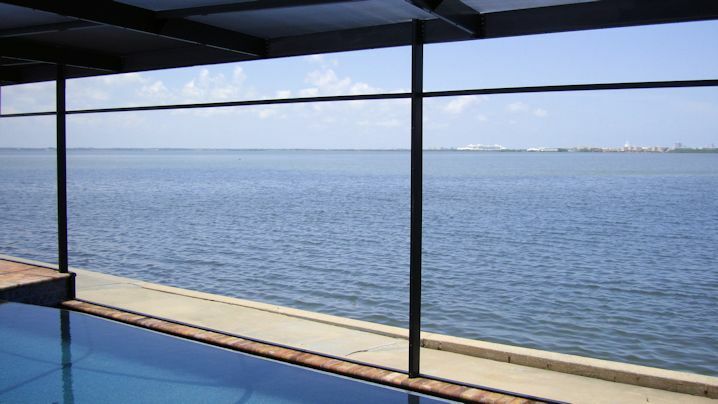 Screen rooms are so popular that it's almost strange to not see one on local homes. 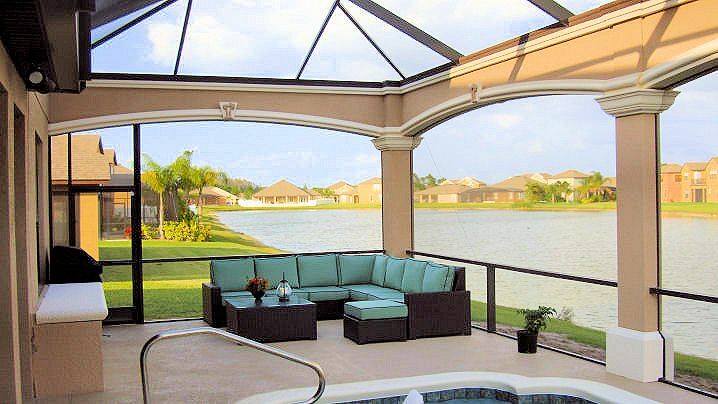 They let you enjoy your space while keeping nasty mosquitoes and pests out of your way. 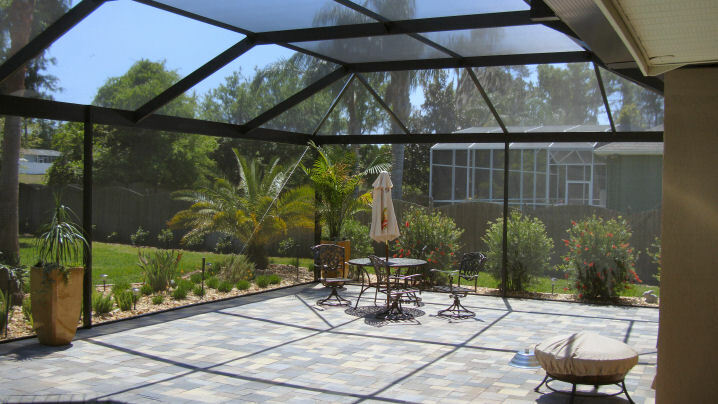 Regardless of the area you need to enclose, aluminum screen rooms can make your space more enjoyable, attractive and peaceful. 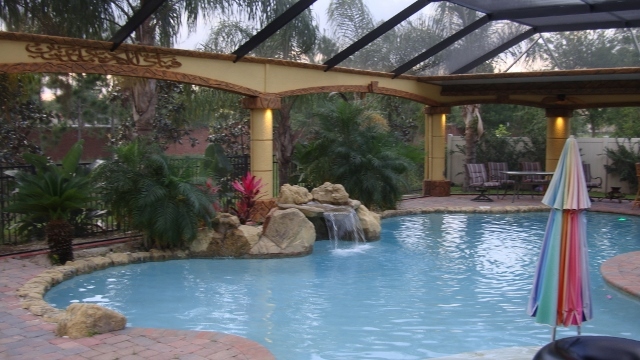 Another great benefit by enclosing your pool area is that your pool stays cleaner which allows you more relaxation time and more time to enjoy your pool -- instead of spending all your time cleaning it.